I have a ‘mixed bag’ of goodies this week. With the weather cooling down a bit, it is a great chance to get outside! We are thrilled to advise that the Back Yamma Landcare Group (BYLG) are holding their Annual General Meeting towards the end of March. 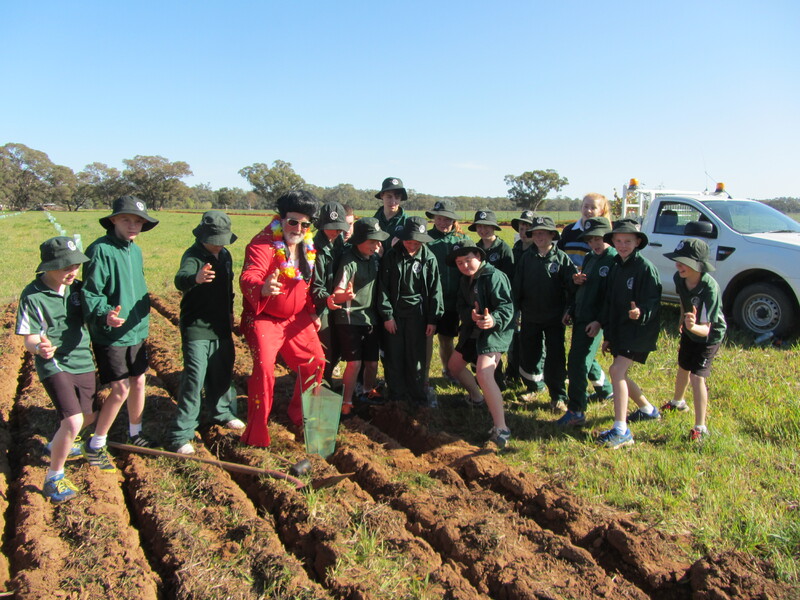 The BYLG have, in the past been a very active group and have undertaken on-ground works including projects to improve soil quality and introduced controls to reduce gully erosion and improve water quality in the Goobang Creek. 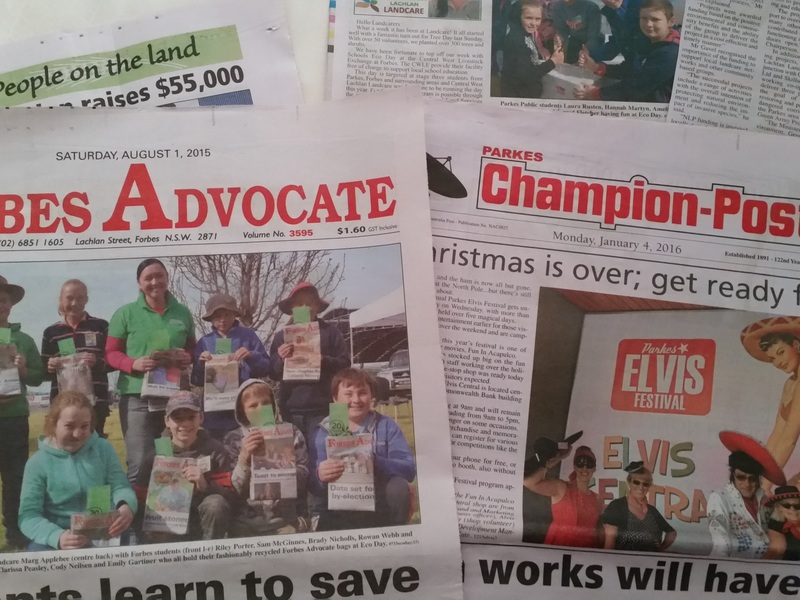 There is still much more to be done and we know that as a Landcare network, these projects are so much more successful if you are working as a team of landholders and taking a broader approach. The meeting will be held on Thursday, 23 March, commencing with breakfast from 7am, with the meeting being held at 8am at ‘Glenelgin’ on Ernie Hodges Road, Parkes. Central West Lachlan Landcare (CWLL) will be working with keen individuals in the Back Yamma area, leading up to the meeting, to look back at projects that have already been undertaken by the group and new possibilities for funding a variety of projects in the area. You have probably heard that the Clean Up Australia Day ‘official day’ is on Sunday with many areas becoming a focus for a clean up. It is really helpful for the organisers to have an idea of who will be joining in, so go to the Clean Up Australia Day website and join a site. To keep everyone safe on the day, participants need to touch base with the co-ordinator and register before you launch into a collection frenzy. In Parkes, head to Lions Park on the Orange Road from 8am. In Forbes, head to Victoria Park from 8.30am. Don’t forget to wear sunscreen, a broad brimmed hat, sturdy shoes and gloves. The Trundle community are holding their second Grease and Oil Change Workshop at the Trundle Golf Club on 9 March with a variety of speakers talking about health and well being, commencing with breakfast from 7.30am. If you are interested in being involved, please contact Cherie Stitt on 0411 057 745. Keeping in the Trundle community, the next Drum Muster will be held at the Trundle Tip on Monday, 13 March between 9am – 12pm. Please remember that all drums must be rinsed and dry. For further information, please call 0408 085 902. Last, but definitely not least, the National Parkes Association Lachlan Valley Branch are holding their second walk for the year on Saturday, 18 March which will cover the Bumberry to Lake Endeavour Loop. Our Green Army Team have spent quite a bit of time in the area over the past couple of weeks, and it is looking gorgeous leading into Autumn. The walk departs from Lions Park at Parkes at 9am. Please contact walk leader, Merren Cannon on 02 6866 1225 if you will be joining the walk. For further information on the services and contacts listed above, follow the links on our website at centralwestlachlanlandcare.org or on facebook. Until next week, happy Landcaring!